Hermo: Offers a wider range of products and not only from korea, eg Maybelline, NYX, L'Oreal, Sleek Makeup, etc etc. 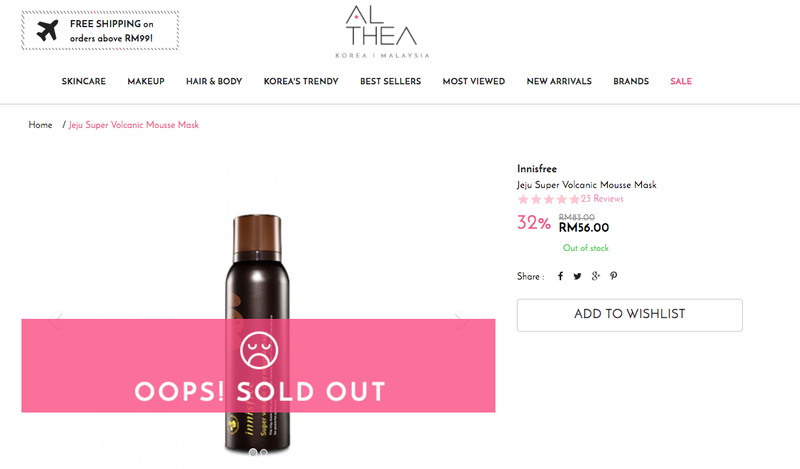 Althea: Mostly cater brands from Korea. But I'm a bit surprised I can't find Cosrx brand. The selection is also limited. I only compare three items so macam tak aci pulak, but you can compare it yourself! 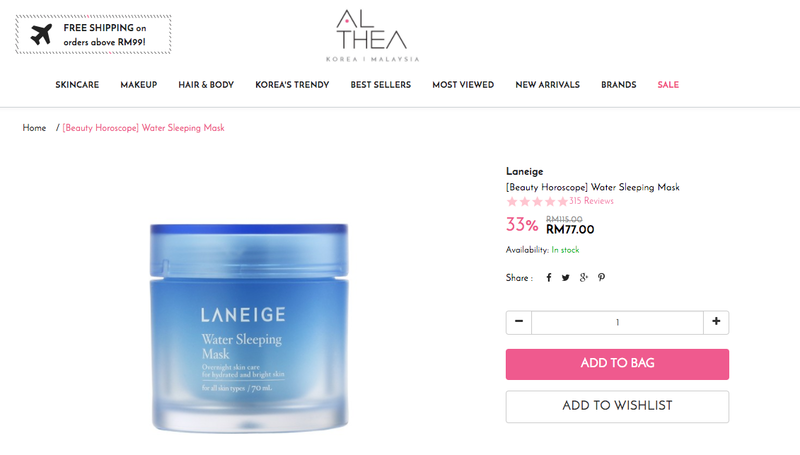 Price wise, mostly Althea is cheaper than Hermo. Hermo 0-1 Althea. Hermo: For two items and above, or order above RM150, free shipping. Else, RM6.80 shipping fee. 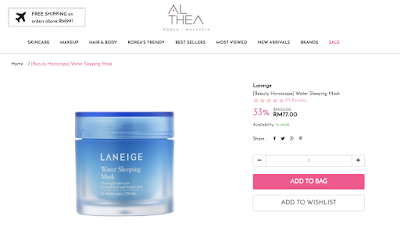 Hermo has cheaper shipping fee (obviously because Hermo is from Malaysia, Althea ships from directly from Korea). 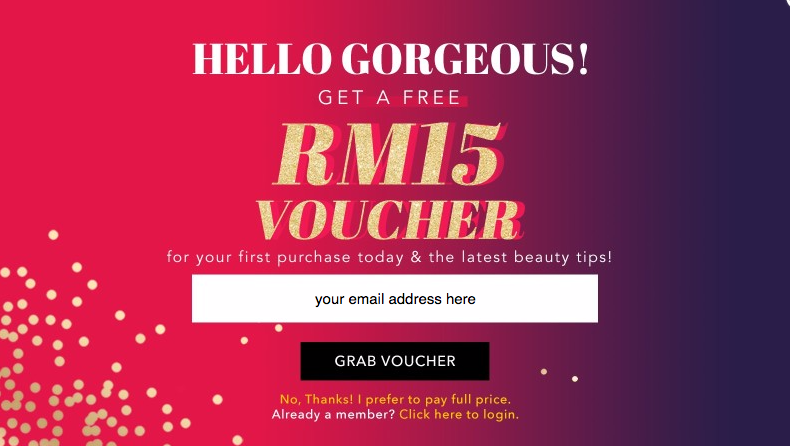 And kalau beli dua barang je from Hermo, terus dapat free shipping, tak kisah la dua barang tu total RM10 je. Hermo 1-0 Althea. Althea: RM15 off for first time purchase (minimum order RM150) + RM15 instant rebate. Seems like Hermo is better because the minimum order is only RM100. 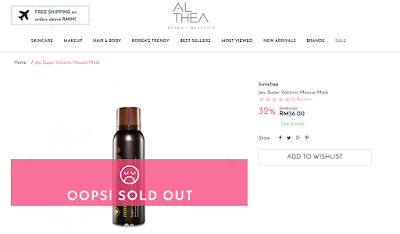 But if you want to buy a lot of things, Althea seems better with RM30 welcome gift. Hermo 1-1 Althea. 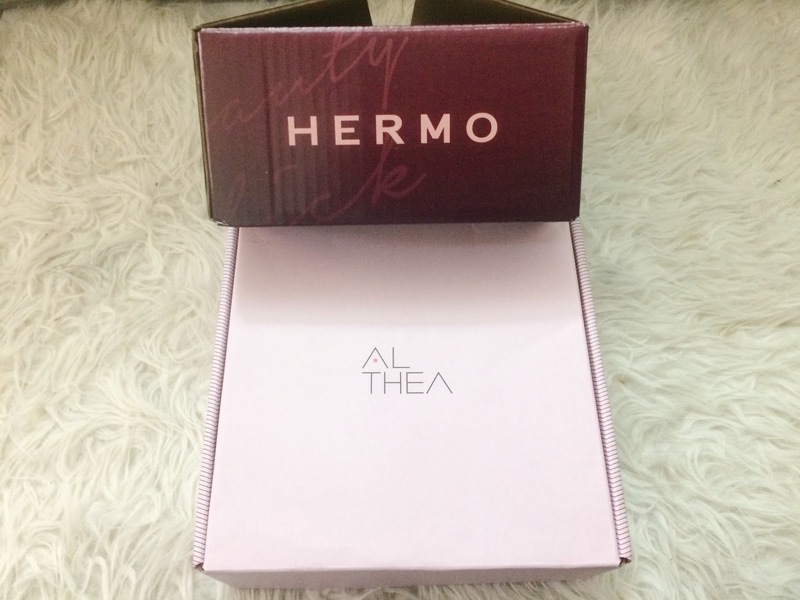 Again, Althea ships from Korea and Hermo is from Malaysia, that is why Althea took longer time to arrive. Hermo 1-0 Althea. Hermo wins because they even have manual transfer! Lagi senang untuk orang yang takde online banking untuk shopping! Hermo 1-0 Althea. Althea: Wrapped the products with bubble wrap. Pretty pink box nicely with pink papers. Love! Hermo: Wrapped the products with bubble wrap. But they just use a normal box. No effort in packaging. Meh. Obviously Hermo wins. However, in my personal opinion, kalau nak beli satu/dua barang je yang tak mahal sangat, atau nak cepat, beli lah dari Hermo. Sebab beli dua barang dah free delivery (jimat sikit). 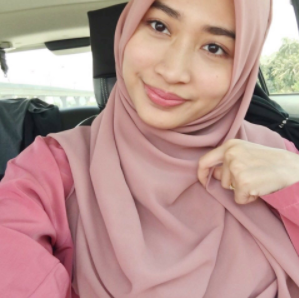 Kalau nak beli banyak barang dan tak kisah tunggu lama sikit, beli lah dari Althea. After all, it is all up to you. This post is for comparison je. Harap membantu membuat pilihan. 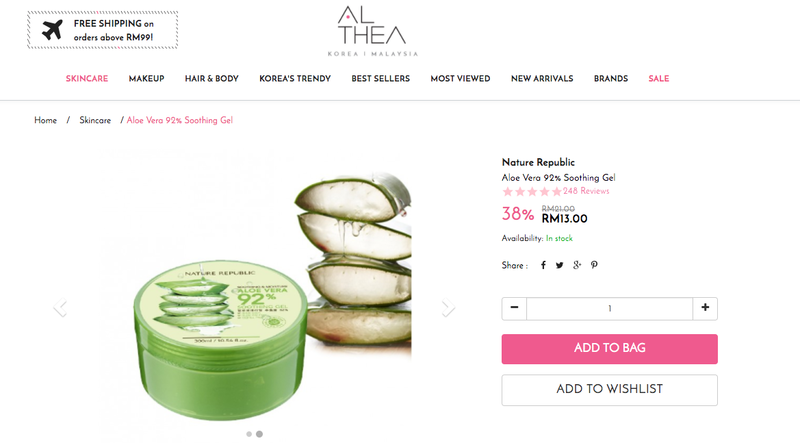 Also read: Nature Republic dari Hermo/Althea, original ke tak? Soooo, between Althea and Hermo, which one do you guys prefer?